First Saturday of the Month let's GO CRAZY with our GLOW PARTY! We will be lining the place with glow sticks, lasers, black lights... the works!! Wear all white for free cover before 11pm!!! 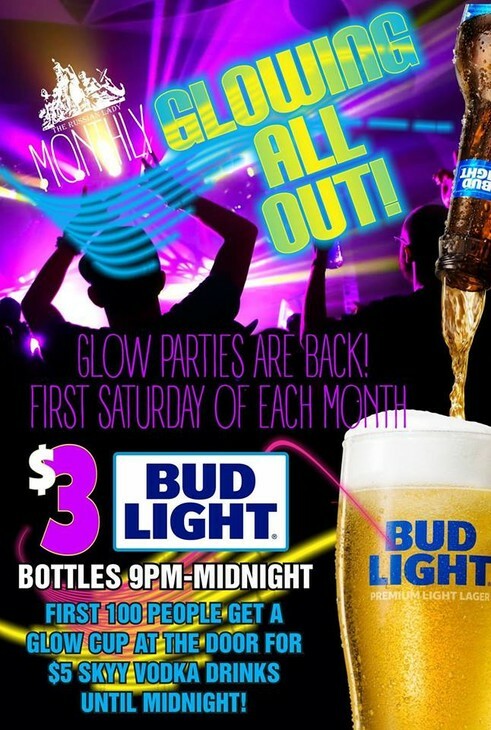 First 100 people get a glow cup which gets them $5 SKYY vodka drinks until midnight!! We also have $3 Bud Light bottles 9-midnight:) Enjoy prizes and giveaways all night!!! Come down for a wild night and prepare to have your mind GLOWN! !